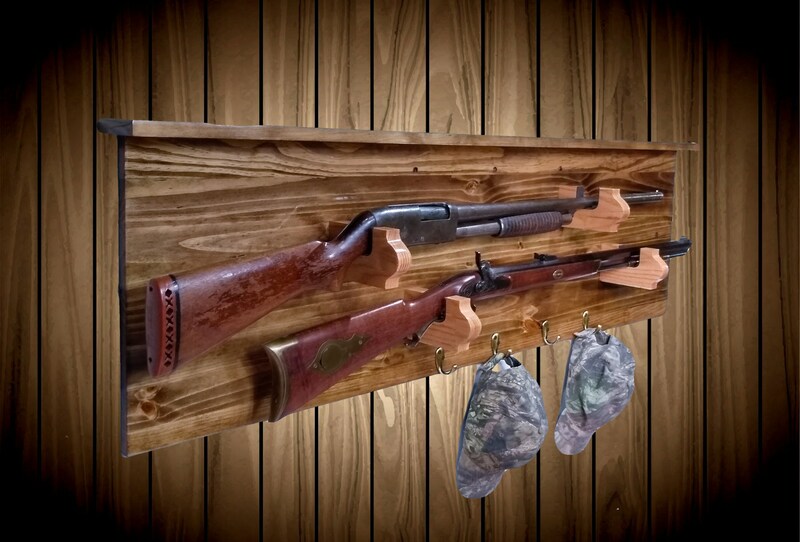 More Than Just a Gun Rack Display. 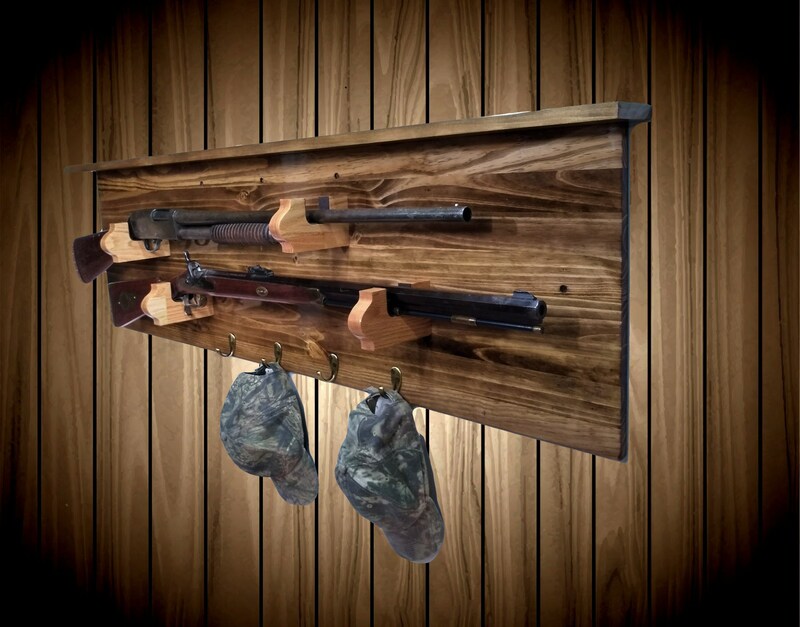 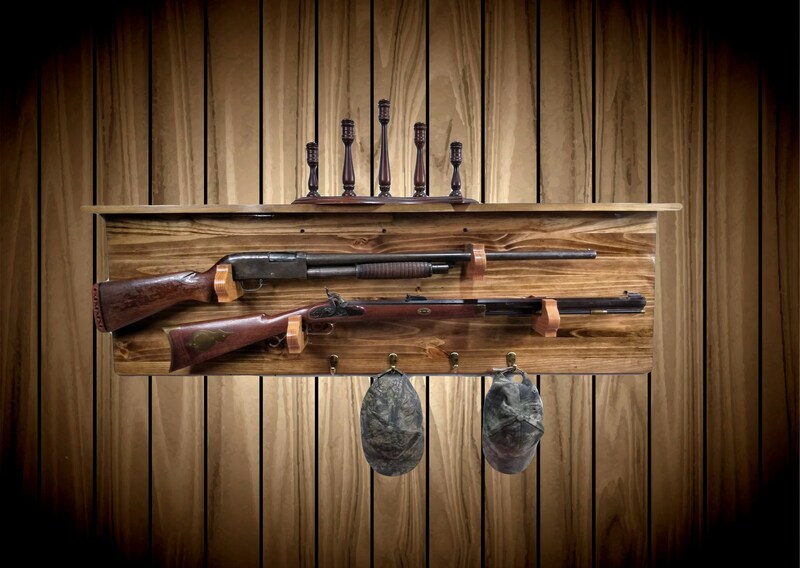 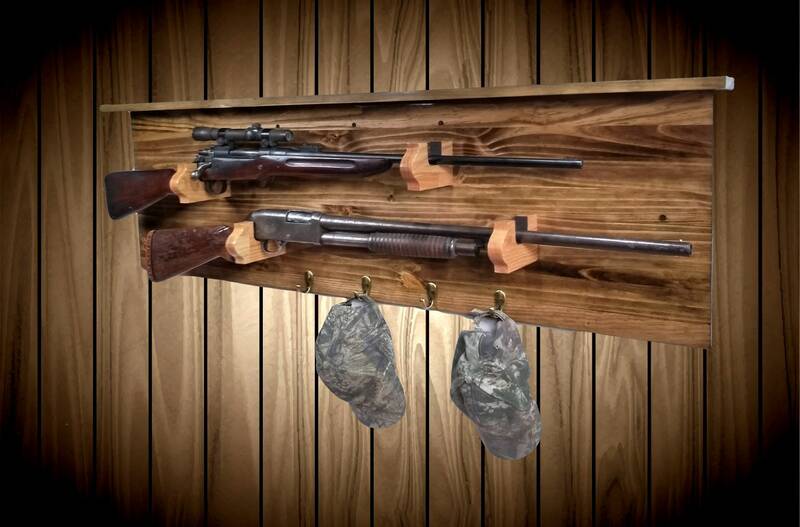 Solid Oak Bullet Gun Hangers with Black Felt. 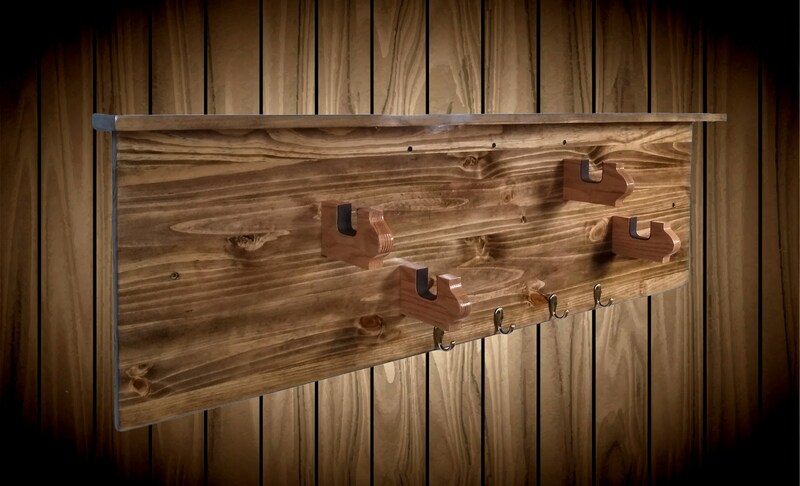 4 Brass Pegs For Hats, Coats or More Ways To Decorate. 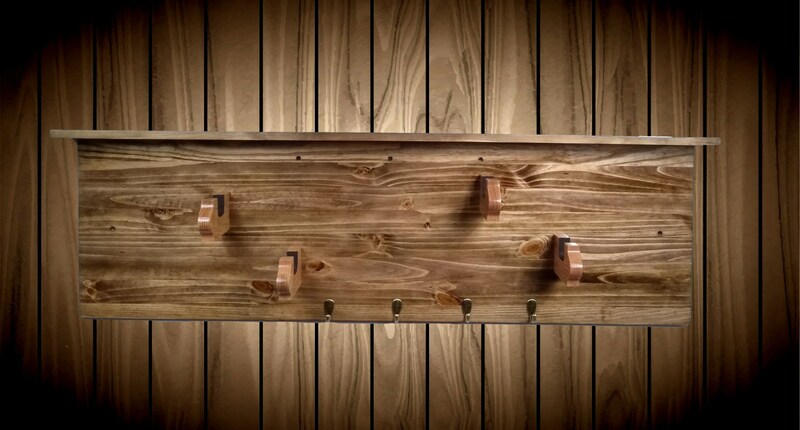 Be Proud To Give This Unique Gift! 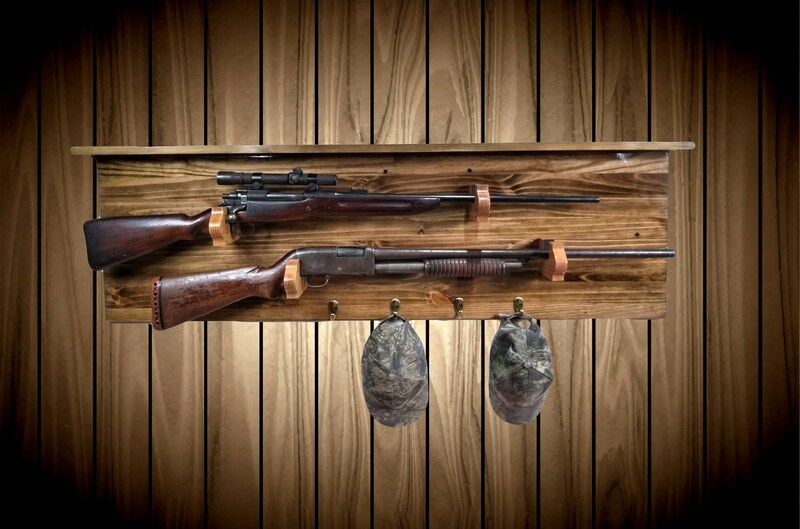 Will Store Rifle, Muzzle Loader or Shotgun as Shown.